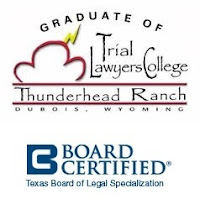 James Sullivan graduated from the Trial Lawyers College founded by legendary lawyer Gerry Spence and was invited to join The National Trial Lawyers organization. Sullivan has a proven record of defending parents accused of Injury to a Child or Assault of a Family Member because they used corporal punishment as a means of reasonable discipline of their children. Sullivan has worked to get four such cases dismissed by the grand jury.